Indian Beach is part of Ecola Park, just north of Cannon Beach. It’s the summer of 1967. 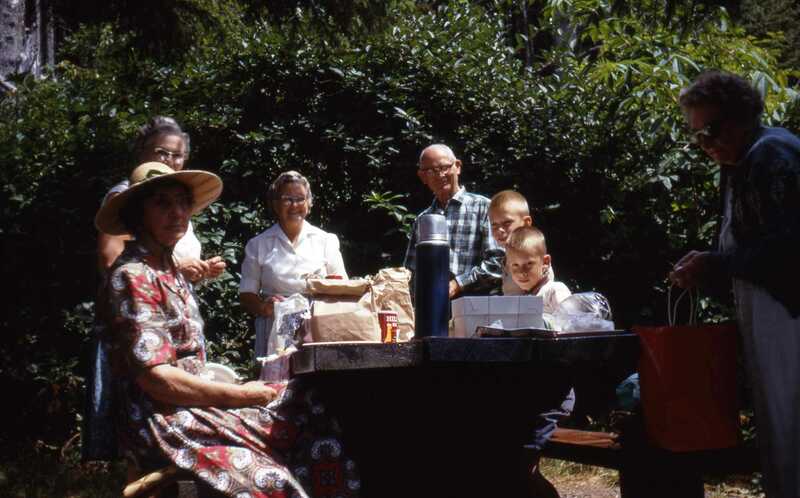 That’s Aunt Jack sitting down, Helen, Reba and Clark standing behind the table, Mark and I on the right side, and maybe Jerry’s mom Marie on the right? Jerry, do I have that right?